Who's going to write the film script? As a nation we celebrate Victory over the Spanish Armada in 1588 and Admiral Horatio Nelson’s Victory at the Battle of Trafalgar in 1805. So why do we completely ignore Hubert de Burgh, who sank the French fleet off the Goodwin Sands in 1217? The young Hubert de Burgh entered the service of Prince John in the 1190s, the son of minor gentry, though he traced his descent from Robert of Mortain, half brother of the Conqueror. When Prince John became King John in 1199, Hubert was his Chamberlain. He must have displayed his mettle early on and impressed the Court, because he was showered with gifts by the king, receiving the honour of Corfe in 1199 and three important castles in the Welsh Marches in 1201 (Grosmont Castle, Skenfrith Castle, and Llantilio, now called White Castle). He was also High Sheriff of Dorset, Somerset, Herefordshire and Berkshire and castellan of Launceston and Wallingford (1202) castles. About 1200 he married as his first wife the daughter of William de Vernon, Earl of Devon, which gained him a certain standing among the ruling families. Even so, his success was due to his exceptional ability as an administrator and a soldier. In 1203 de Burgh was appointed Constable of Windsor Castle and Dover Castle, the first port of call from the Continent and the first chance to impress visitors or repel unwelcome ones. The Hospital of St Mary, Domus Dei or Maison Dieu, which now forms part of the Old Town Hall buildings in Dover, was founded by de Burgh in 1203, its main purpose being the accommodation of pilgrims arriving from the Continent to visit the shrine of Thomas à Becket in Canterbury. Also in 1203 de Burgh was given charge of the great castles at Falaise (in Normandy) and Chinon (in Touraine). He spent much of his time securing English possessions in France. In 1205 he defended the castle of Chinon. While other English possessions were lost, he held out for a year under siege. Then, wounded while trying to escape, he was held prisoner for two years. It says something about King and Country at those times, that at home his loyalty and valour cost him most of his lands in his absence – but it made his name. Following his return in 1207, however, he acquired new and different lands and offices in England, including the castles of Lafford and Sleaford, and the shrievalty of Lincolnshire. 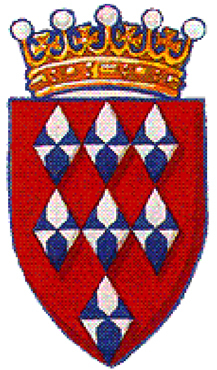 He was also appointed seneschal of Poitou in France. 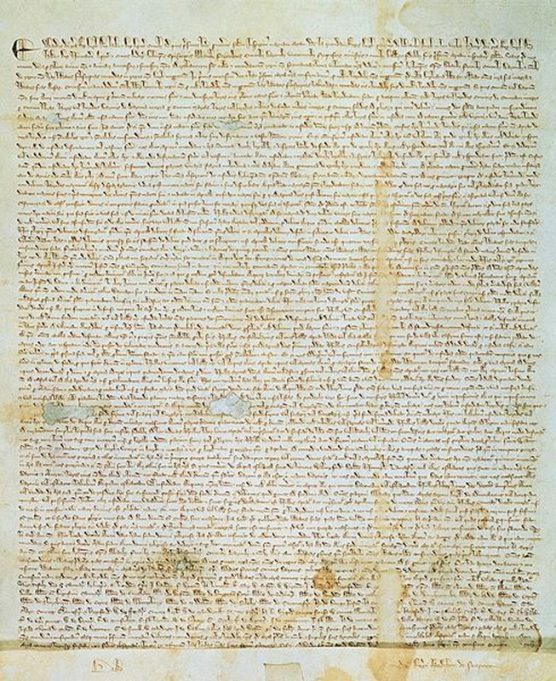 When on 15th June 1215 at Runnymede near Windsor King John signed the historic Magna Carta or Great Charter, which curtailed royal power in matters of taxation, justice, religion and foreign policy, Hubert de Burgh was one of the people urging the king to sign. He was one of the twenty-five sureties of its execution. John appointed him Chief Justiciar of England and Ireland in June that year (1215) with overall responsibility for their administration, a post he held with some interruptions until 1232. 1215 was also the year de Burgh received the Honour of Rayleigh, the castle and manor, including Hadleigh and Thundersley, which had been in royal hands from 1163. The grant was confirmed by John’s son Henry III in 1227. De Burgh was deeply involved in the war against France of 1215-17. On King John’s death in 1216, John’s nine-year-old son succeeded him as King Henry III. The disappointed French withdrew, but they returned the following year with a fleet of 80 great ships, plus smaller ones – a formidable foe. Like King Alfred before him, de Burgh decided to hunt the enemy at sea, rather than first allowing them to land and his 40 smaller ships met the French off the Goodwin Sands, where he had a better understanding of the channels and currents. As battle ensued, he punctured French sides with the ironclad prows of his smaller ships and he even resorted to an early form of chemical warfare, by manoeuvring his ships to windward and throwing quicklime at the French to blind them, while English archers did the rest. De Burgh won the day and the French commander Eustace the Monk was captured. The action went into the history books as the Battle of South Foreland. In hindsight it signalled the end of King Louis III’s attempts to become King of England. From 1219 onwards Hubert was the most influential figure in Henry III’s minority government, when he effectively became Regent of England. In 1221 he took as his third wife, Margaret, sister of King Alexander II of Scotland, and four years later he was created Earl of Kent. Castles were important in the defence of the realm. From 1223 to 1228 de Burgh’ masons constructed the new Montgomery Castle on the rock above what was to become the town of Montgomery. King Henry came of age in 1227. The following year Hubert was proclaimed Justiciar for life. De Burgh not only administered his castles, he strengthened and where necessary, rebuilt them. The French threat was still a real one and Hubert decided a castle was needed to guard the Thames and the approach to London and he had just the spot on his land in Hadleigh. Permission to crenellate the castle in ‘Hatheleg’ or ‘Hadleg’, was granted on 28 November 1230 to ‘H. de Burgo, comiti Kancie et Margarete uxori sue’ (Hubert de Burgh, Earl of Kent, and Margaret his wife). To crenellate meant permission for a building to be fortified, so perhaps there already was a building on that elevated position? Today we say: ‘A week is a long time in politics…’, but in almost a lifetime of practically running the country, as in de Burgh’s case, especially as his fortunes had increased at the same time, there would be jealousy and intrigue. Hadleigh Castle would have been a long way from being completed when by 1232 his long-time rival for royal favour, Peter des Roches, finally managed to persuade the fickle King Henry to dismiss and imprison him. De Burgh did not exercise the power of his office after September 1232. All his previous battles and heroics on behalf of his country seem to have been forgotten or at least ignored. In 1233 he escaped from Devizes Castle. The following year Edmund Rich, Archbishop of Canterbury, effected a reconciliation with the King. 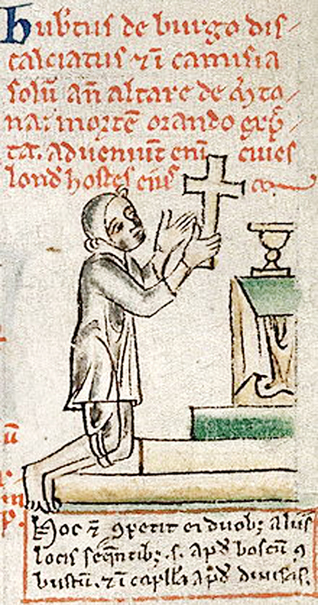 De Burgh officially resigned the Justiciarship about 28 May 1234. Judgment was reversed that same year, which for a time restored his earlship, yet again he faced forfeiture in 1239. He retained some standing by granting several castles to the king, including the three in Wales as well as Hadleigh and his land in Essex. Hubert de Burgh, formerly Earl of Kent and Justiciar of England and Ireland died in Banstead, Surrey in 1243. He was buried at the church of the Black Friars in Holborn. In constitutional history he is remembered as the last of the great justiciars. Among the words used by historians to describe de Burgh are ‘loyal’ and ‘constant’. Certainly his career proves that even a man with inauspicious beginnings could rise to great heights and reap great rewards. 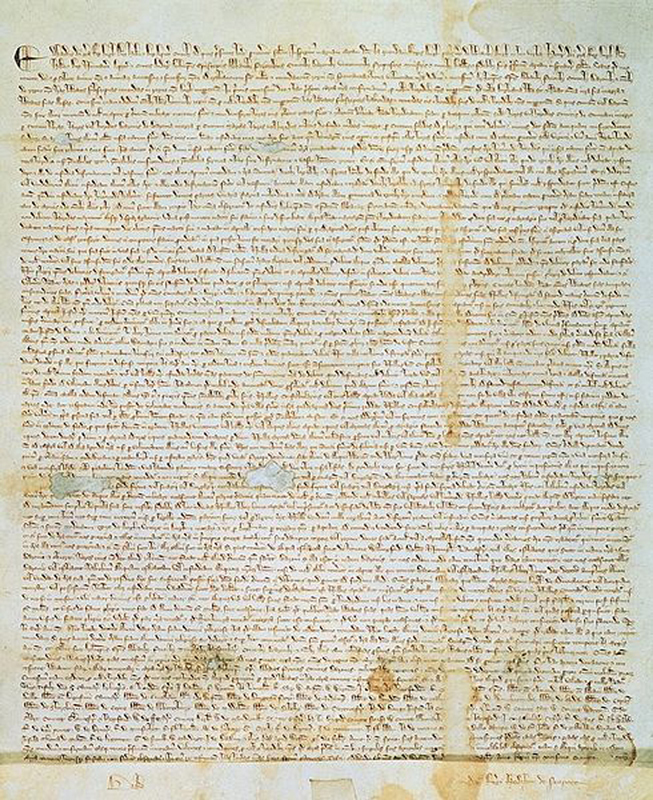 Next year sees the 800-year Anniversary of the signing of the Magna Carta, an occasion that will no doubt be celebrated widely, not least by our American cousins across the pond. Hadleigh has reason to be proud of its connection. Delighted to read Mr Harwood’s book which brings its subject to life much better than the earlier biography. I agree it provides a very good basis for a novel and film script.This is an even more worthy subject than Thomas Cromwell, given de Burgh’s contributions to our nation, and would make a story full of conflict and passion. Have you suggested this to Hilary Mantel? Thank you for the compliment. My interest began with local history, i.e. our ruined castle. I’ve been thinking of a book, but I’m about your age, so it will probably never happen. I do agree with you on the interesting personality, highly underrated if not completely forgotten. Your research can only help to improve his image. Not long ago I gave an illustrated talk on de Burgh locally. Our old church has not been so full in ages. While I have published a good number of books I have not got around to script writing, but thank you for your connection. I’ll get in touch and see if there is anything I can do. For sure there is a Wolf Hall in there. Hubert, too, found out what it’s like when your Sovereign goes against you. Looking forward to seeing your publication. Oddly enough Whitehall figures in my latest book which is a picture book of ‘Londoners’ in the ’60s to the ’90s. My 60s picture still has the grime of centuries on its walls. I am now past 80 but was once a Household Cavalryman and having stood on duty at Horse Guards in Whitehall very many times, I decided to write the history of the building, no-one had ever written one. In 2006 it was published as ‘Chivalry and Command: 500 years of Horse Guards’. The connection with Hubert de Burgh is that Whitehall Palace (which was the principal research subject for the Horse Guards history) was, in fact, originally the medieval palace of the archbishops of York, namely York Place, from 1245 to 1529. Prior to that, from about the 1230s, the Thameside mansion of Hubert de Burgh occupied the palace site. I noted his importance as I delved further into the medieval life of Whitehall and made a mental note to return to him after my Horse Guards book was completed. This I did and Pen & Sword now has the full story, recounted in a modern style, of his life. He later governed the kingdom conjointly with the young Henry III, as you know, and in parts of my narrative I draw attention to interesting parallels with Winston Churchill as both men grappled with invasion across the Channel. The title will be ‘Fixer & Fighter! The Tumultuous life of Hubert de Burgh 1170-1243, Earl of Kent’. I hope your ‘film-script’ question gets a positive answer – English statesmen like Hubert de Burgh don’t come round too often – about every 800 years!